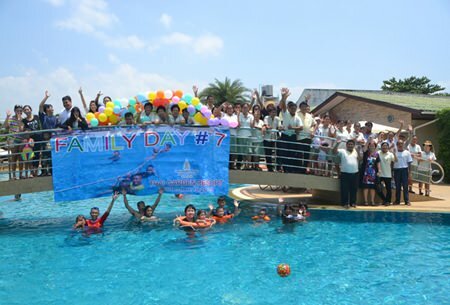 Thai Garden Resort hosted its seventh-annual family day for employees, giving them a chance to partake in all the hotel’s amenities just like the guests they serve. Moms, dads and kids enjoyed games and activities prepared specially to entertain them Sept. 19. 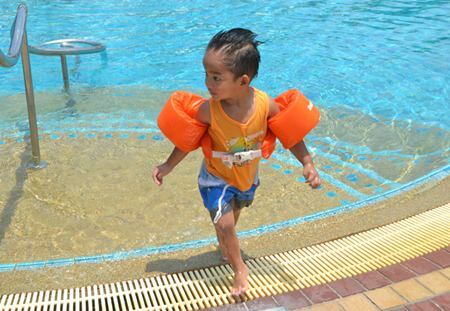 Everyone took turns jumping in the swimming pool, some fun they are not be able to do on a regular basis. Manager Danilo Becker personally took care of their “guests” and managed to make them smile and laugh the entire day. Since sports and games make one hungry, a sumptuous buffet was prepared with all the goodies children like the most. 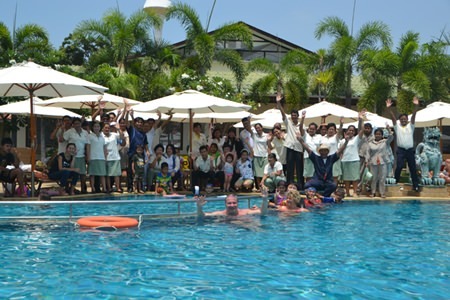 This family day showcases the creative teamwork of the management and the employees and it shows that, without this kind of spirit, no good hotel would be able to work properly. 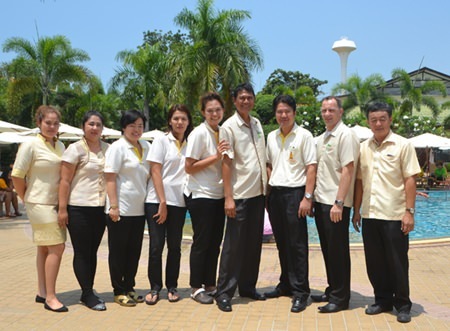 The employees and their relatives pose at the bridge over the huge pool. Even the management team has fun at the family day.